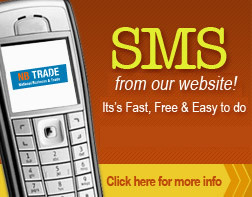 Search Business Support using Nbtrade.com.au and access listings for Business Support Murwillumbah, Business Support East Ballina, Business Support Byron Bay, Business Support Lismore, Business Support Burleigh Heads and all along the Gold Coast. For professional, reliable and experienced Business Support do not go past our Business Support Directory. Our online Business Support Directory provides a easy to use search tool for finding the right Business Support for you. Nbtrade.com.au has you covered. Our listings offer a range of services to accommodate your needs; accounting & financial consulting, asset protection and auditing. Call one of our listings now and receive business coaching & advice, business development & strategic planning, business improvement consulting, business succession planning and business valuations. Search Nbtrade.com.au for all your Business Support needs, search listings under Business Support Casino, Business Support Broadbeach, Business Support Mackay, Business Support Yamba and more listings Nationwide.